With 60+/- acres of cleared agricultural fields, excellent wildlife habitat, and over a mile of frontage on the South River, this income producing farm also offers recreational opportunities and potential home sites. Located on Barefoot Road near Wade in Cumberland County North Carolina, this farm offers income producing agricultural fields along with great hunting for deer, turkey, and ducks. There are approximately 60 acres of cleared agricultural fields with quality soils for growing row crops. The timber land between the fields and South River is excellent wildlife habitat. The flooded swamp areas along the river offer opportunities for some great duck hunting. This farm is only a few minutes from Fayetteville, Ft. Bragg, and Clinton. Web Link listed above There are several potential home sites on the farm. There is only one house in site of the farm and it is in a very quiet rural setting. For a bird's eye view of this property, visit our MapRight mapping system. Copy and paste this link into your browser mapright/. com/ranching/maps/3f03d81928ce44599e26ce261811b145/share, and then click on any of the icons to see beautiful photographs of the property taken from those locations. You can easily change the base layers to view aerial, topographic, infrared or street maps of the area. 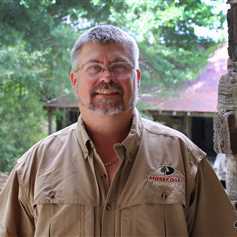 Let Marty Lanier, a Certified Land Specialist with Mossy Oak Properties/NC Land and Farms, connect you with the right piece of property that will fill your dreams and inspire your imagination. If you are looking to buy rural land in North Carolina or South Carolina, then working with Marty Lanier is the natural choice. I love working with rural land, and I want to help you discover the extraordinary bond with the land and it's wildlife that only comes with owning your own fist full of dirt. For more information on this property or other Farm and Timber Land For Sale in Cumberland County NC, contact Marty Lanier at , by email at Email listed above, or visit our web site at Web Link listed above.